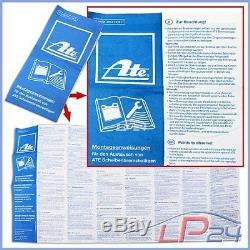 Atp-autoteile - autoersatzteile & zubehör. 180 days right of return. Faq - Frequently Asked Questions. Ate kit brake discs + pads front + rear. Attention: take into account the restrictions on numbers pr !! please, take into account the number explanation pr. Click here for more explanation. You will find additional information in the vehicle model table! 2x ate brake disc ventilated front axle kit (4 pieces) ate brake pads with wear warning contact front axle 1x brake anti-squeal paste (do not apply on the friction surface of pads or brake discs ) 2x ate full brake disc rear axle kit (4 pieces) ate brake pads rear axle 1x anti-squeak brake paste (do not apply on the friction surface of pads or brake discs). Before purchasing, please check the information given in the vehicle model table! Quality product - new - fully assembled. 180 days guaranteed return free return. You will find our conditions of return in our information for the customers. Please note that you will receive your invoice from us in pdf format by email. For this purpose, please check your mailbox and possibly your spam folder. By saving consumables such as paper and ink / toner, valuable environmental resources will be preserved. In addition, you no longer have the effort to store, store and search your bill. Product Detail / Product Information. Very low wear and less noise. An additional alloy limits wear and ensures a longer life. With 4 million brake discs sold, it has been one of the leading brake suppliers in Europe. Total braking performance immediately no fading at ate. Less heat transmission to avoid soft pedals. Optimum comfort prevents squeaks and squeaks. 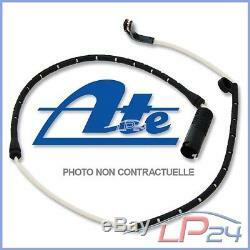 Ate quality mark - enjoy years of experience, standard ece-r90 ate outperform the specifications. Homogeneous labeling simplified traceability in case of guarantee. There is less heat transfer with the brake parts ate. The brake fluid is thus protected from high temperatures and no bubbles are formed. Please note the restrictions indicated in the table. 04.10 - 08.12. For the number pr: 1za, 1lj location: front axle for the number pr: 1kz location: rear axle. 09.07 - 08.12. 05.03 - 08.12. 08.03 - 09.07. 05.09 - 08.12. 11.06 - 08.12. From the year of manufacture: 01/2007 for number pr: 1za, 1lj location: front axle for number pr: 1kz location: rear axle. 07.08 - 08.12. For the number pr: 1za, 1lj location: front axle for the number pr: 1kj location: rear axle. 05.03 - 05.10. From the year of construction: 06/2003 for number pr: 1za, 1lj location: front axle for number pr: 1kz location: rear axle. 08.04 - 08.12. For the number: 1za, 1lj location: front axle for the number pr: 1kj; 1ku location: rear axle. 01.06 - 06.08. 09.04 - 08.12. 03.10 - 05.13. For the number for location: front axle for number pr: 1kz location: rear axle. 02.11 - 05.13. 09.08 - 05.10. 05.09 - 05.13. 04.08 - 05.13. 04.08 - 10.09. 04.10 - 03.13. 09.07 - 03.13. 09.04 - 03.13. 09.04 - 09.07. 05.09 - 03.13. 11.06 - 03.13. 07.08 - 03.13. 09.04 - 05.10. 09.04 - 06.08. 03.06 - 03.13. 11.05 - 03.13. For the number pr: 1za, 1lj location: front axle for the number pr: 1kf location: rear axle. 05.04 - 03.09. 03.04 - 05.09. 04.06 - 05.09. 07.08 - 05.15. From year of construction: 08/2008 to construction year: 02/2015 for number pr: 1lj, 1za ​​location: front axle for number pr: 1kj location: rear axle. 09.10 - 05.15. Until construction year: 02/2015 for item number: 1lj, 1za ​​location: front axle for order number: 1kj location: rear axle. 03.09 - 05.15. 03.08 - 05.15. 03.08 - 11.10. 03.08 - 05.10. 01.09 - 05.15. 05.10 - 05.15. Skoda superb ii break (3t5). 10.09 - 05.15. From year of construction: 11/2009 to construction year: 02/2015 for number pr: 1lj, 1za ​​location: front axle for number pr: 1kj location: rear axle. 10.09 - 03.10. From year of construction: 11/2009 for number pr: 1lj, 1za ​​location: front axle for number pr: 1kj location: rear axle. 11.07 - 08.15. For the number pr: 1lj, 1za, 1zd location: front axle for the number pr: 1kj, 1kz location: rear axle. 05.08 - 08.15. 06.06 - 05.08. 03.06 - 05.08. From the year of construction: 05/2006 for the number pr: 1lj, 1za, 1zd location: front axle for the number pr: 1kj, 1kz location: rear axle. 11.10 - 08.15. 03.06 - 08.15. 11.09 - 08.15. Vw golf plus (5m1, 521). 05.10 - 12.13. For the number pr: 1lj, 1za ​​location: front axle for the number pr: 1kz location: rear axle. 11.09 - 12.13. 01.05 - 11.06. 05.06 - 12.13. 07.05 - 11.06. For the number: 1lj, 1za ​​location: front axle for the number pr: 1ke; 1kz location: rear axle. 05.06 - 06.08. 06.07 - 12.13. 06.08 - 12.13. 05.05 - 12.13. 05.09 - 12.13. 12.04 - 05.08. 11.07 - 12.13. 02.09 - 12.13. 03.09 - 12.13. 01.05 - 01.09. 05.05 - 12.08. 05.05 - 06.08. 12.05 - 05.11. 05.05 - 05.07. 01.09 - 12.13. 01.05 - 12.13. 10.03 - 05.06. Until construction year: 09/2008 for order number: 1ze; 1zp ​​location: front axle for number pr: 1ky, 1kz location: rear axle. 05.06 - 11.08. 10.03 - 07.06. 11.05 - 11.08. Until construction year: 09/2008 for order number: 1ze; 1zp ​​location: front axle for number pr: 1ky; 1kz location: rear axle. 05.07 - 11.08. 01.04 - 11.08. 10.03 - 07.08. 10.03 - 11.08. 05.04 - 11.08. 10.04 - 02.09. 09.06 - 12.08. 12.04 - 11.08. Vw golf v estate (1k5). 06.07 - 07.09. Until construction year: 06/2009 for order number: 1lj; 1zd location: front axle for order number: 1kj location: rear axle. 07.08 - 07.09. 11.07 - 07.09. 01.08 - 07.09. 05.10 - 11.12. For the number: 1lj, 1ll, 1lv, 1za ​​location: front axle for the number pr: 1kv, 1ky, 1kz location: rear axle. 11.08 - 11.12. From the year of manufacture: 05/2009 for the number pr: 1lj, 1ll, 1lv, 1za ​​location: front axle for the number pr: 1kv, 1ky, 1kz location: rear axle. 10.08 - 11.12. 03.09 - 11.12. 02.09 - 11.12. 05.11 - 11.12. 04.09 - 11.12. From the year of manufacture: 07/2009 for the number pr: 1lj, 1ll, 1lv, 1za ​​location: front axle for the number pr: 1kv, 1ky, 1kz location: rear axle. 10.08 - 05.13. Vw golf vi estate (aj5). 07.09 - 07.13. From construction year: 08/2009 for order number: 1lj, 1za, 1zd location: front axle for order number: 1kj location: rear axle. 07.10 - 07.13. For the number pr: 1lj, 1za, 1zd location: front axle for the number pr: 1kj location: rear axle. 12.09 - 07.13. 07.06 - 10.10. For the number pr: 1lj, 1zd location: front axle for the number pr: 1kj location: rear axle. 05.07 - 10.10. 07.08 - 10.10. 10.05 - 10.10. 09.05 - 10.10. 01.08 - 10.10. 12.09 - 10.10. 06.09 - 10.10. 08.05 - 10.10. 10.06 - 10.10. 01.06 - 10.10. From the year of manufacture: 07/2008 for the following number: 1lj; 1zd location: front axle for number: 1kj location: rear axle. 08.10 - 12.14. Until construction year: 10/2014 for model number: 1zm, 1zg location: front axle for vehicle number: 1kw location: rear axle vehicle equipment: for vehicles with electronic brake. 11.10 - 12.14. 08.10 - 01.13. For the number pr: 1zm, 1zg location: front axle for number pr: 1kw location: rear axle vehicle equipment: for vehicles with electronic brake. 01.11 - 12.14. 05.07 - 07.10. From construction year: 10/2007 to construction year: 07/2010 for article number: 1lj, 1lh, 1zg location: front axle for vehicle number: 1ku location: rear axle vehicle equipment: for vehicles with brake electronic stop. 01.09 - 07.10. Until construction year: 07/2010 for order number: 1lj, 1lh, 1zg location: front axle for vehicle number: 1ku location: rear axle vehicle equipment: for vehicles with electronic brake. 05.05 - 07.10. 03.05 - 06.08. 08.09 - 07.10. 03.05 - 11.08. 01.09 - 11.10. 03.05 - 07.10. 07.05 - 07.10. 09.05 - 07.10. 08.05 - 07.10. 03.05 - 05.09. 03.05 - 11.10. 11.08 - 07.10. 2.0 tdi 16v 4motion. 03.05 - 08.10. 05.09 - 07.10. 11.05 - 07.10. 04.07 - 07.10. 01.12 - 12.14. For the number pr: 1zm, 1zg location: front axle for number pr: 1kw location: rear axle vehicle equipment: for vehicles with electric parking brake. 01.11 - 01.12. Until construction year: 09/2011 for order number: 1lh, 1zm, 1zg location: front axle for vehicle number: 1ku, 1kw location: rear axle vehicle equipment: for vehicles with electronic brake. 06.08 - 01.12. From year of construction: 06/2008 for order number: 1lh, 1zm, 1zg location: front axle for order number: 1ku, 1kw location: rear axle vehicle equipment: for vehicles with electronic brake. 05.09 - 11.10. 05.08 - 05.11. 06.08 - 05.11. 11.09 - 01.12. 11.10 - 01.12. 06.08 - 05.10. 05.07 - 11.10. 08.05 - 11.10. 08.05 - 06.08. 08.09 - 11.10. To construction year: 07/2010 for order number: 1lj, 1lh, 1zg location: front axle for vehicle number: 1ku, 1kw location: rear axle vehicle equipment: for vehicles with electronic brake. 05.07 - 10.11. 08.05 - 11.08. 09.05 - 11.10. 11.05 - 05.07. 08.05 - 02.06. 08.05 - 05.09. 11.08 - 11.10. From construction year: 09/2005 to construction year: 07/2010 for article number: 1lj, 1lh, 1zg location: front axle for vehicle number: 1ku location: rear axle vehicle equipment: for vehicles with brake electronic stop. 11.05 - 11.10. 04.07 - 11.10. 11.06 - 05.10. 02.06 - 05.10. From the year of construction: 09/2006 for the number pr: 1lj, 1za, 1zd location: front axle for the number pr: 1kj location: rear axle. 05.09 - 05.10. Until construction year: 04/2010 for order number: 1lj, 1za, 1zd location: front axle for order number: 1kj location: rear axle. 07.03 - 05.10. 02.03 - 01.07. 02.03 - 05.04. 08.03 - 05.10. 11.04 - 05.10. 02.06 - 05.09. 10.03 - 01.07. 02.03 - 05.10. From the year of manufacture: 08/2003 for number pr: 1lj, 1za, 1zd location: front axle for number pr: 1kj location: rear axle. 12.05 - 05.10. From the year of manufacture: 02/2006 for number pr: 1lj, 1za, 1zd location: front axle for number pr: 1kj location: rear axle. 11.10 - 05.15. Corresponds to the following oe numbers. 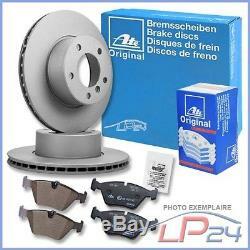 Brake discs + front and rear brake pads. 2x baffle for rear brake disc audi q3 2011- ## product brand distributor pro auto parts ##. 2x baffle for rear brake disc seat leon 1p 05-12 altea 5p ## product brand distributor pro auto parts ##. Kit set of tools pushes piston brake caliper 13 pieces audi bmw ford ## product brand distributor pro auto parts ##. 180 days guaranteed return period. The cost of return are the responsibility of the seller. You will find our conditions of return in our information intended for the customers. Our service - your advantage! All items are subject to quality control. Almost all our suppliers are DIN certified in ISO 9001: 2000. You will find a complete assortment in our shop rabbit24 by clicking here. A delivery abroad is only possible against payment in advance! Note that a delay in delivery may occur due to customs clearance. 3418120012 - 3418112012 - 3418111012. C60cf5b43 cb35fd65d ca6e31d05 c923732ee c745228ba c9ef07ac4 c844c7a63 cc45ac8fc cfbdb0eaa cefb186c0 c9f759c12 cec65331d c6d985604 c1ca7a5a8 c7696bddf cd2c5ede6 c8a2b05d2 c1875205e c6770f518 c201ea35e cf1458e7e cb3fdff76 c5d7f7008 c0529725e c0385d7da c260b78e8 c5417caed ca62b1d63 c3a6aa6c6 c845fd599 c9da39101 c07039359 c36f44042 c0766f58d c8e34c357 c42753e8e c919872d2 ce2402b89 cd8f45c86 ce4723c44 c85c7e896 ce1f1c4b8 c9645b7e9 c289620b5 c9515b88e c80e809b1 c83b6d54d c426d9267 caecf165e c63dd9c5b c3bffdb50 c6f98d7ed ce521d750 c61297a73 cbb1c960a ​​c414edfdf cdcf2b19e cd4a9bdbc c199fb910 ce8116056 c43b379ea c4971ce50 cd4c0bbbc ca12a628b c2c82a678 cf1712615 c252f0a3d c2b89c3df c3c454df9 c57f424a1 c49628cba c931dd4e2 c4e4472e8 c7ec96e8e c0a083782 cf5a7f9e4 c6a4b6112 cd85b44d7 cc136621d ccdd5bda9 cfeda93c6 c052b5b3b ce77fac34 c0b2f3813 cf3c1f3eb c275b0b53 c9ae8243e cf1e4f80a c84852b59 c3f33892b cef3bd892 cadbad04b c60adbf22 c364f4f30 c35a102b6 c118bad19 c6 c925e30 c8bcd7544 c14dd79ed c0dee1adf c140ded0b c4e139979 c561f5898 c32c62d40 cc39d3229 cf353d59b ce4c3ba9f c5fa6e25e c8bc43e0d c6e5d6b0b cd7782813 c0e9e992c c80bb678d c6b822915 cb5aaba86 c8f70c050 c919a6c88 c01543e8f c85c9a04b c8f8790be ca7936dbd c21a52b65 c100fe6df ca3df5b68 cfd3b11fa cb549ca7e c379506d0 c597ab790 c26e09704 c685bdd48 ccefed192 cfccac165 caa984024 c275680c4 c3b0ca501 c686bedad c273e9c33 c16df322b cefc48d4d c881517bd ccbb985c9 c08c51beb c59c125e7 c06d1db84 c786535b3 c6217f9d1 c10cb813a c2ff8985f c79e55bb7 c09174470 c425eeca4 cd608f766 c38ef7c39 c53b52716 c337d8333 ca5e8af08 c2ecfd6eb c68ce2795 cde83ec20 c215128ee c9a9ce9e4 c68653b31 cbe44c162 c5f542ae5 c5c9e1928 c34d81672 c93489ea9 cb31806d7 c3f08868a ccc4c8059 c7bca9aef c5dc73264 cc4953e6d ccbd9aa1b cb907abc4 cb50dd7c8 cb8849d8b c974d1666 c705de898 cf8e4b63d c4412c4a0 cab782f17 cf6e95e89 c4a9ea532 c87ea6b67 c38db3e0a c3d3c893b cd1d55da4 c53dcac2c c5b2dc80a cf5cf9d84 cf71846ca c58def9aa cf53710da c307084bf c39ef74a6 this 85a04ac c2fb630cd cde886374 c3f886363 c2896193a c11b8ec54 c48a053f4 cfe1a9292 c147d1909 c9456f829 cecac0c8e c105773b2 ce90d822a ca5ba191a c17d0a347 cf89abebf c033f6ff7 c3b314501 c925618db c43d52ef1 c5bf1c6b6 ca5d17864 c2e7bfdfc cd7a9cda5 c3dc28c7e c70da6f08 cafad684f c702fa1dc c19b10734 cd782aae4 c0b59febd cf05071be c9c0577dd ce603aa37 cf4113132 cf0819b92 cb38c2479 c64a31ad9 c8868c91a c166f565b ce5e1dd90 cc12ce811 c61f11248 ccba7824e cba24b62d c4e5891b7 cc381bfeb c44995260 cb675832d cc4fe3c07 cdd0179a8 c25c3340f c25906efe c4f310eba cd2ecaa6a c5cb8a6e5 cfe8dd3fc c601c719e c414310ff c40e32ee4 c9ededb64 cd2094035 cb7184c1d c97e678c0 c83330a8a c8c47da7e c609007df c4d4fcf58 c743ed278 c67fcdb91 ca24004f8 c4c1aa1ec cdc5e93a6 c8581d545 c4f5c6091 ce956dbd4 c91d2264a cd5d5d099 c986cb360 c56e2530d c703d62ab c99ee2667 c0514b34e cab4f7bba cf3ac5f37 c7626fa6e cd3342625. 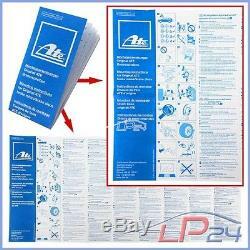 Wide range of products for all car brands. Always more than 800,000 pieces in stock. Commercial Register: hrb 2867; Weiden i. Do you still need an article? You will find it in the big universe of ..
the item "ate kit set discs 24.0112-0169.1 / 24.0125-0158.1 + pads" is on sale since Friday, May 12, 2017. 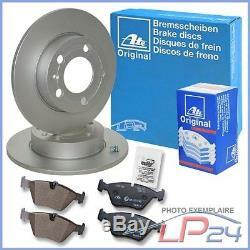 It is in the category "auto, motorcycle parts, accessories \ auto \ parts \ braking \ complete brake kits. The seller is "lp-24" and is located at 92690 pressath.